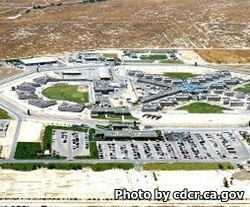 North Kern State Prison is located in Delano California. The facility acts as both a reception center, and a medium to minimum custody facility, as well as a transportation hub for when inmates are transported over a long distance through California. The reception center portion of this facility is responsible for diagnosing and classifying many inmates from all over the state. Initial processing and classification of inmates can take up to 90 days because the facility will work up a comprehensive background on the offender and evaluate the mental and physical health of the inmate. Once finished with reception and classification the inmate may be moved to a new more permanent facility that better suites their rehabilitation needs. North Kern State Prison offers inmates a variety of education, from earning a GED and basic adult education to learning new vocational skills. The aims of educating the inmates is to provide them with a better chance of success once they are released and to reduce the recidivism rate (rate at which the inmate re-offends). Some of the vocational programs inmates may participate in are gardening/landscaping, carpentry, auto mechanics and auto body repair. Inmates at this institution can also earn a 2 year college degree. You must have an approved visitors application prior to coming to visiting your inmate. Inmates may have visits on Saturdays and Sundays from 8:30am-2pm, if you cannot check in to visiting prior to 2pm you will not be allowed to visit. Visitors are also permitted on four holidays (New Year's day, July 4th, Thanksgiving and Christmas day). You are now able to schedule a visiting appointment online here.